Brentwood, TN —September 13, 2012—HR.BLR.com has announced the release of an interactive map to help employers quickly access information about voting laws in the state(s) in which they operate. Though federal law protects citizens' right to vote, there is no federal law that mandates employers to give employees a specific amount of time off to do so. However, many states have filled this void in the law with specific provisions and sanctions. Some states require employees to give reasonable notice of absence to the employer. Also, many state laws require employees to use their available time outside of work hours to cast their votes if there is sufficient time before or after work to get to local polls. The map,"Does My State Have Voting Leave Laws? "—and the state law information it contains— is being made free to everyone on HR.BLR.com through Election Day, November 6. The map can also be accessed via HR.BLR.com's new 2012 Elections and Your Workplace Resource Center. Employers must be familiar with the federal and state laws surrounding voting laws, political activity in the workplace, their own conduct, and the conduct of their employees. BLR launched the 2012 Elections and Your Workplace Center to provide news articles, policies, and other guidance created and curated by HR.BLR.com editors to help answer your questions about political activity in the workplace. The Resource Center can be found at http://hr.blr.com/resource-centers/2012-Election-Your-Workplace. For over 35 years, BLR has simplified compliance with state and federal legal requirements, helping U.S. businesses succeed. BLR offers authoritative content, training, and practical, easy-to-use tools for the Hr & employment law, workplace safety, environmental compliance, compensation & benefits, and politics & legal markets. 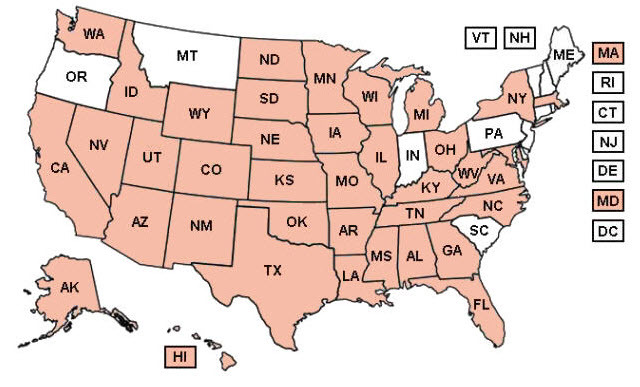 Through our expert in-house editors and exclusive attorney network, we provide the most comprehensive, reliable state-specific information available—and we do it in all 50 states. Our award-winning information products—including training programs, events, web portals, reports and subscription services-give businesses of all sizes and industries the best tools available at affordable prices.